This good-looking, portable desk and c_hair set is just . when set up, 32 in. ; when folded, 52 in. 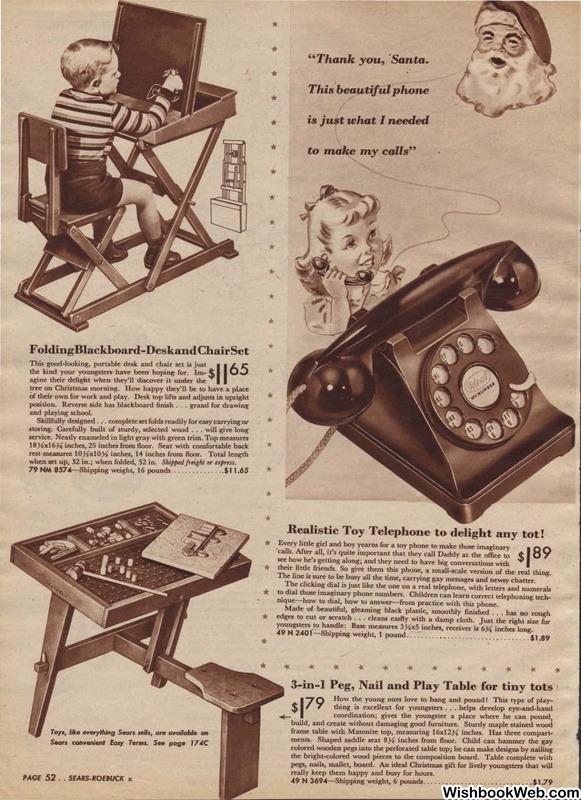 Toy Telephone to delight any tot! their little friends. So give them this phone, a small-scale version of the real thing. The line is sure to be busy all the time, carrying gay messages and newsy chatter. nique-how to dial, how to answer-from practice with this phone. really keep them happy and busy for hours.